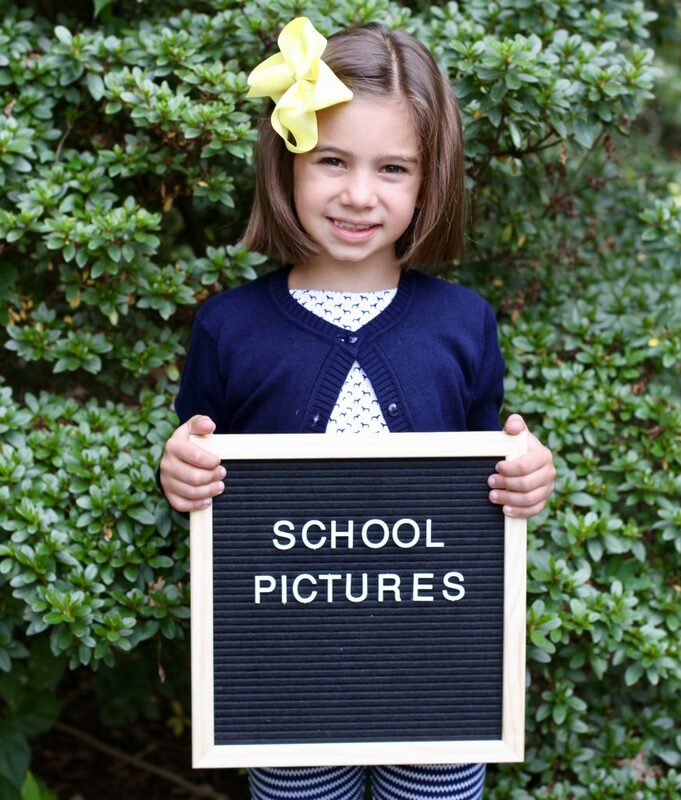 We all survived the first day pf school photos: busting out letter boards and making fun paper signs… Next up: school picture day. School picture day was my favorite growing up because it was one of the few days in elementary school that I didn’t have to wear a uniform. I take a lot of photos of my kids on my own, but still, school photos each year are something I treasure most. I think because it captures them in the same pose during the same season each year. It’s one of the few photos each year that I pull out the year before and can quickly see just how much they’ve changed and grown in a year. 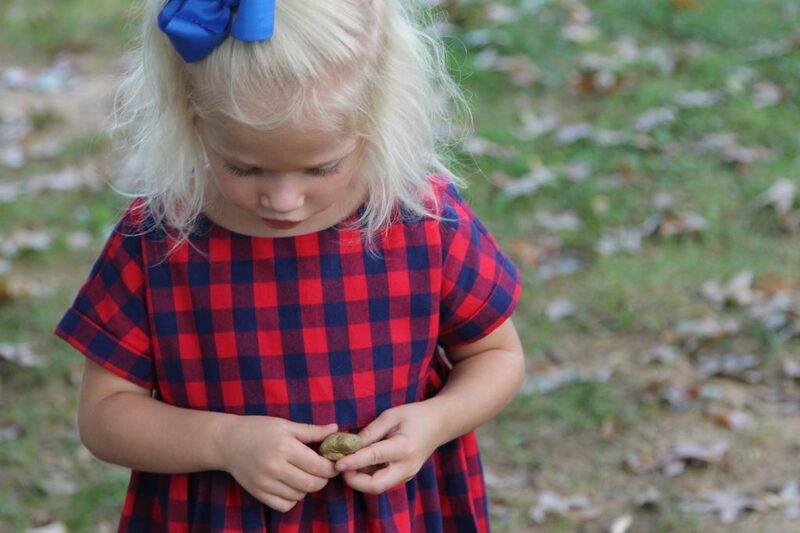 Since they are something I treasure, I do spend some time deciding on a cute outfit for picture day. I let the kids pick but usually give them a few options to choose. 2. Know the background: Our preschool photos were inside and now our elementary school photos are outside. Knowing this helps pick an outfit that will look great in the photos. If it’s outdoors, fall colors are great. If it’s indoor with a very light/white background, you don’t want to choose a white shirt or light clothes. 3. You usually see only the top half so pick something with a fun collar or something that you like the top of. 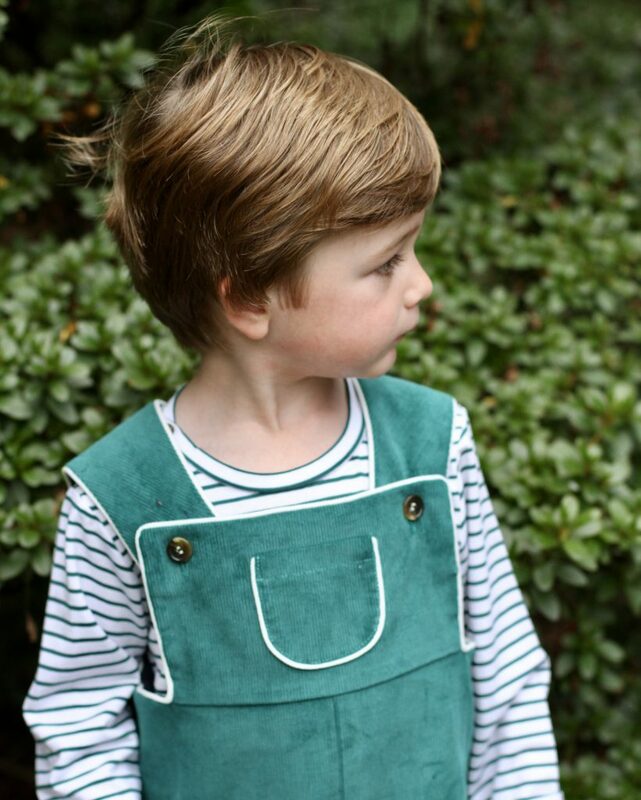 Peter Pan collars look great in school photos and layering a sweater over a shirt for boys or girls looks really nice. An adorable skirt is great, but if they only take a photo of the top half of your child, no one will see it! 4. No matter how the photo comes out, you’ll absolutely love it! Sometimes the craziest, silliest school photos are the ones you really treasure for years to come and often pop up places like a wedding slideshow! 5. 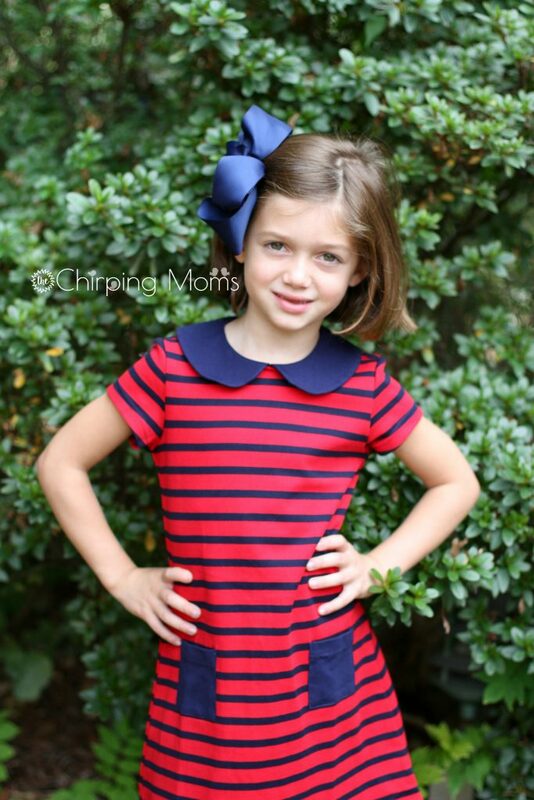 Our favorite clothes for school picture day are the classic styles from Busy Bees Kids. 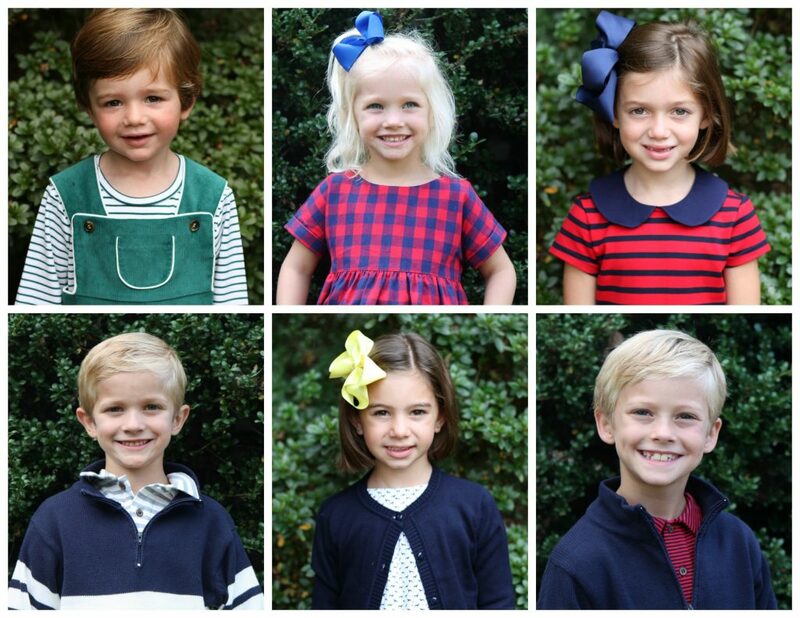 They have timeless school clothes that really make great picture day photos. 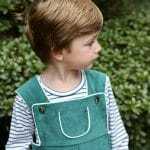 All of the outfits in this post are Busy Bees kids and at the end of the post, there’s a chance to win a $150 gift card! Now here’s a fun school photo update – our school aged “chicks” ready for picture day! We now preschool, pre-K, two first graders, 2nd and 3rd between us. 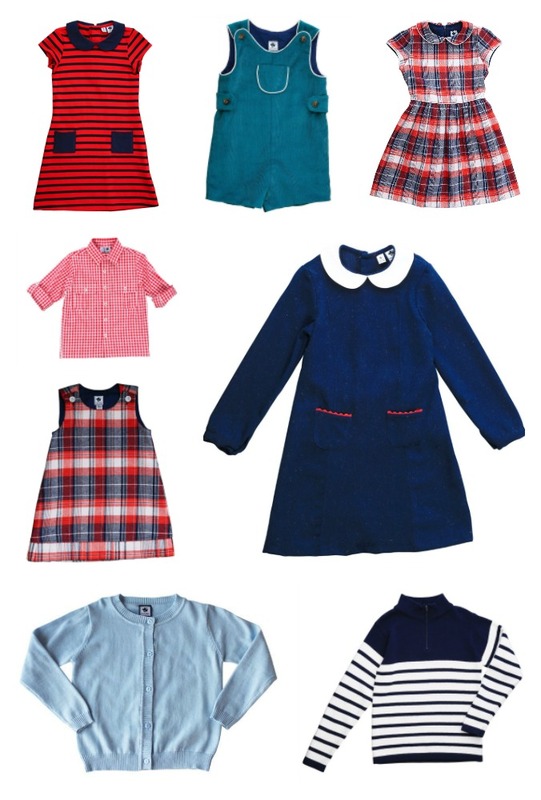 Busy Bees is an American Prep brand for boys and girls age three months to 16 years. Polished but not precious, comfortable but not fussy, traditional but not dated, Busy Bees clothing combines classic American style elements like crisp stripes, vibrant colors and unique details with a modern preppy twist that’s just perfect for today. We like Busy Bees for the style and quality. 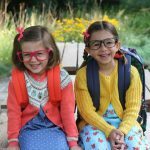 There are play clothes, dress clothes, an amazing line for older girls called Miss B and tons of fun options for coordinating siblings for the holidays. They also have great accessories and basics (like solid colored cardigans). We’re excited to team up with Busy Bees this week’s giveaway! 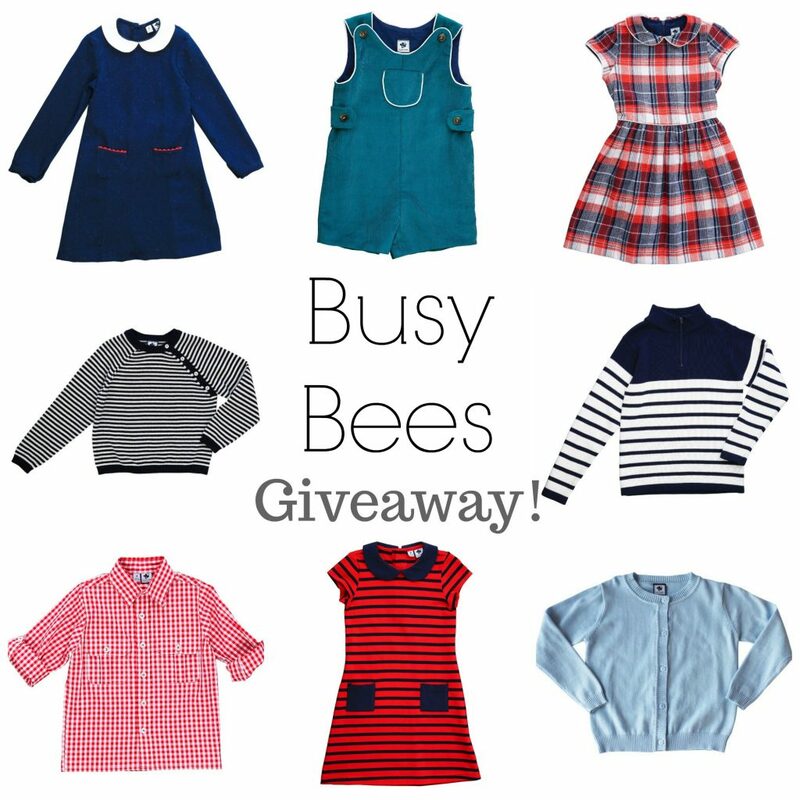 One lucky winner will receive $100 to shop Busy Bees! You can enter on Instagram and/or Facebook. There will be one winner drawn after combining the entries from both spots & the giveaway will end a week from today. INSTAGRAM: Click here or find this giveaway photo on Instagram. To enter you MUST follow @busybeeskids and @thechirpingmoms Next, “like” the photo & tag 2 friends in the comments so we know you entered. FACEBOOK: Click here or find the giveaway post on Facebook. To enter you MUST be a fan of Busy Bees on Facebook and comment tagging a friend. For an extra entry, share the post! Disclosure: We were not compensated for this post. We did receive items for the purpose of review. As always, all opinions are our own. entered on facebook, but I can’t find the photo on IG to enter. I would love to win for my grandchildren! 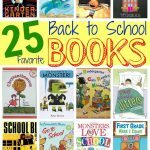 Thank you so much for sharing these tips! They’re gonna make picture day so much easier!